A video series showcasing live, uncut modular synthesizer performances from talented electronic artists. subscribe on youtube for upcoming releases! Mike Larry’s star has been rising fast in Montreal and beyond over the past 4 years. An accomplished and successful DJ, he has gained support from heavy hitters like Carlo Lio, Nathan Barato, Chris Leibing, D-Unity and many more. Resident DJ at Montreal’s Stereo club, he regularly tears up that dancefloor with his high energy sets blasting over their world famous sound system. He has released on record labels such as Unity Records, Moan Recordings, and FunkN Deep. Modular is a relatively new addition to his live act but already he is an accomplished live performer with his Mutant Drums-heavy Eurorack setup. This Mutant Modular set was filmed in his studio. Enjoy! We’re excited to welcome a long-time Montreal techno luminary to Mutant Modular. Jean-Patrice Remillard, AKA Pheek, has been exploring electronic music since the early 1990s and has been a key player in Montreal’s minimal scene from its very inception. From his early work with Mateo Murphy (Mutant Modular mm002) on Montreal-based label Hautec recordings, to releases on Richie Hawtin's M_nus imprint, France's Telegraph, Denmark's Tic Tac Toe and Germany's Contexterrior, Pheek has developed an unmistakable sound – textural and spatial with a cerebral, experimental soul, and at least one foot always on the dance floor. Resynthesize is Northern California producer Brandon Tallent, who has been producing and DJing since the late 90s. He got his start in the demo scene using the MS-DOS program Impulse Tracker before eventually moving to modern DAWs and finally discovering modular synthesizers. He has released several albums and EPs which are all available on Bandcamp and Spotify, and regularly posts modular related videos on Instagram. 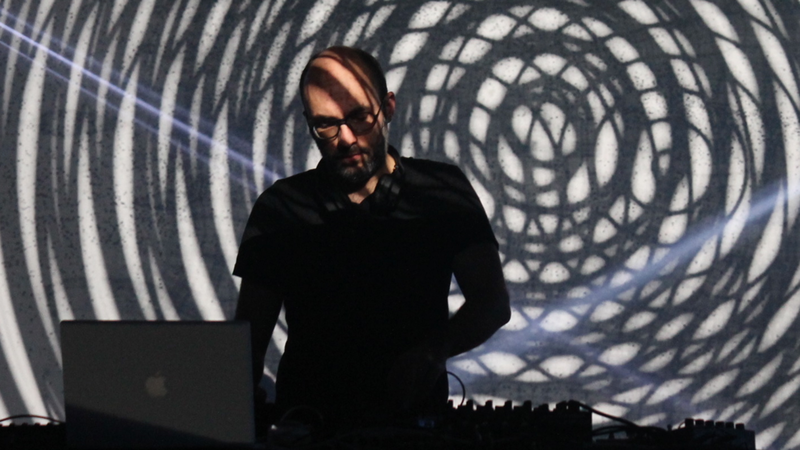 While he has written lots of IDM and glitch-hop influenced music in the past, these days he is mostly focused on minimal techno and tech house. A master of the modular live set, his background as a DJ really shines through here, packing so many ideas into 15 minutes but never losing that groove. A machine-funk, dubby, techno adventure! Montréaler Mateo Murphy has clocked nearly 20 years harnessing technology, manning the decks, and releasing dozens of dark, repetitive, rhythmically elegant tracks and remixes – from collaborations with Pheek and Noah Pred to deep, driving cuts on labels such as Tiga’s Turbo and Misstress Barbara’s Relentless. For our second Mutant Modular set Mateo brought his Elektron A4 down to the studio and paired it with the Mutant Drums to serve up a hefty slice of hypnotic, dreamy techno with a dark edge. Recording producer, engineer and label head at Toronto-based Candle Recording, Josh Korody is also a prolific artist in his own right. Coming from a background of guitar effect chains, pedals and recording techniques, he has naturally turned to the modular synthesizer in recent years. Nailbiter is what happened when Josh began to write with the modular system. Dark, atmospheric, but always danceable, his sounds have been making waves from NYC to Montreal. Now check out his exclusive set for Mutant Modular, coming at you straight from Hexinverter HQ in Montreal! More Mutant Modular releases coming soon!